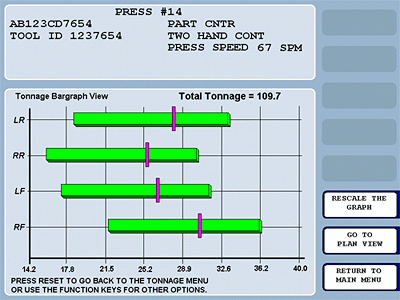 Simple and effective tonnage monitoring for your presses. Provides advanced, yet easy-to-use monitoring. 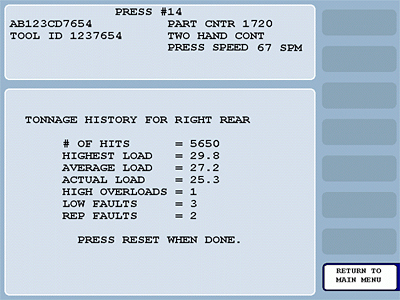 Calculates high, low and repeatability setpoints automatically, based on standalone actual load, not press capacity. Protect dies by detecting excessive stroke-to-stroke variation (repeatability) in tonnage. Protect press from reverse "snap through" load. If reverse load is too high, it can damage the press. 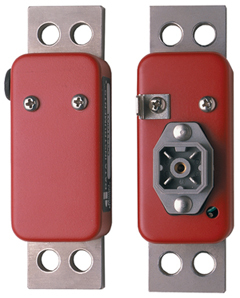 Improve setups by providing tonnage information to eliminate errors in shut-height adjustments. 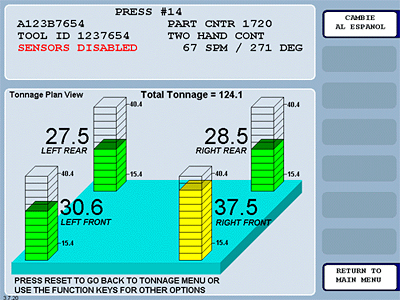 Tonnage History tracks highest and average load. 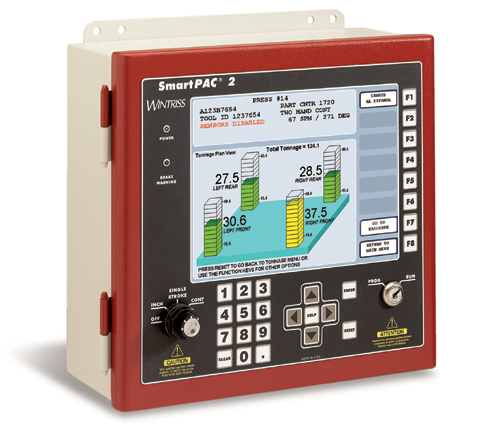 The AutoSetPAC's tonnage data can be logged by ShopFloorConnect machine monitoring software. Strain Links Used With All Wintriss Tonnage Monitors. These Are Mounted On The Frame Of The Press. Ready to find out more? 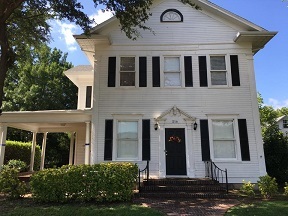 Contact us for a quote! Have Questions and Need Answers? Call our speedy order line TODAY!